You still have time to plan for an Advent calendar this year. Advent is the four week period beginning on the Sunday nearest to November 30th and goes through the next three Sundays. I have gathered together all kinds of Advent Calendars for you to consider for this coming season. 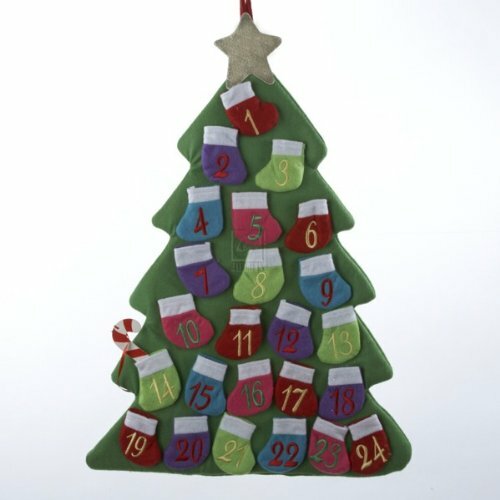 There are Advent Calendars you can make and Advent Calendars you can buy. You may decide on one Advent Calendar This is the traditional Christian period of preparation for the celebration of the birth of Jesus. 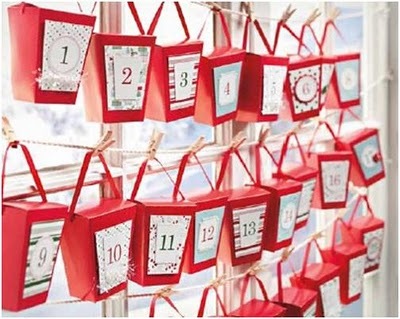 An Advent calendar is a a way to open a window, a can, an envelope or whatever you have created once each day to countdown until the holiday. 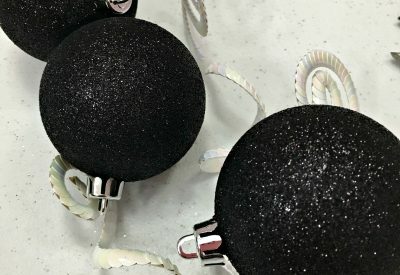 This is a fun project everyone can do together! Paint empty cans white and add stick-on numbers for each one. Line each can with colorful tissue paper. 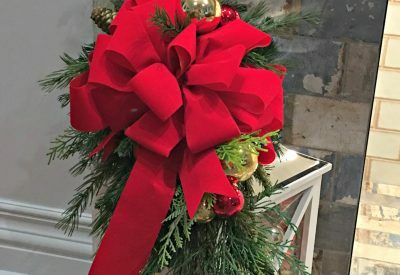 After tucking a little surprise into each can, top with a piece of tissue paper or colored Saran Wrap, secured with a ribbon or a rubber band. Watch the “tree” of cans shrink as the holiday grows closer. Check out this cute little Christmas tree covered with stockings! You can make a tree like this if you are just a little bit handy with a sewing machine, or buy from the link above for just $11.99! I am not sure you could make if for that little. This is a wonderful idea for an Advent calendar, a book for each day. Open each evening and share the story as a family. Do you have a Lego lover at your house? 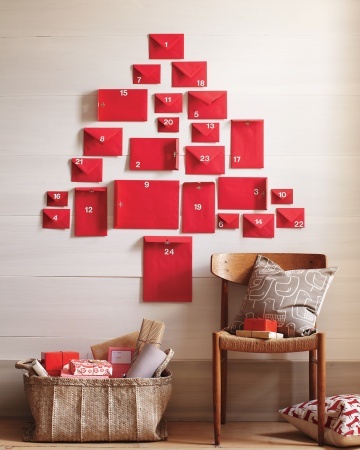 What a wonderful way to combine an Advent Calendar with a gift! I know my son was the biggest Lego fanatic, and I have kept that huge bin of them, ready to share with grandchildren when they come visiting. 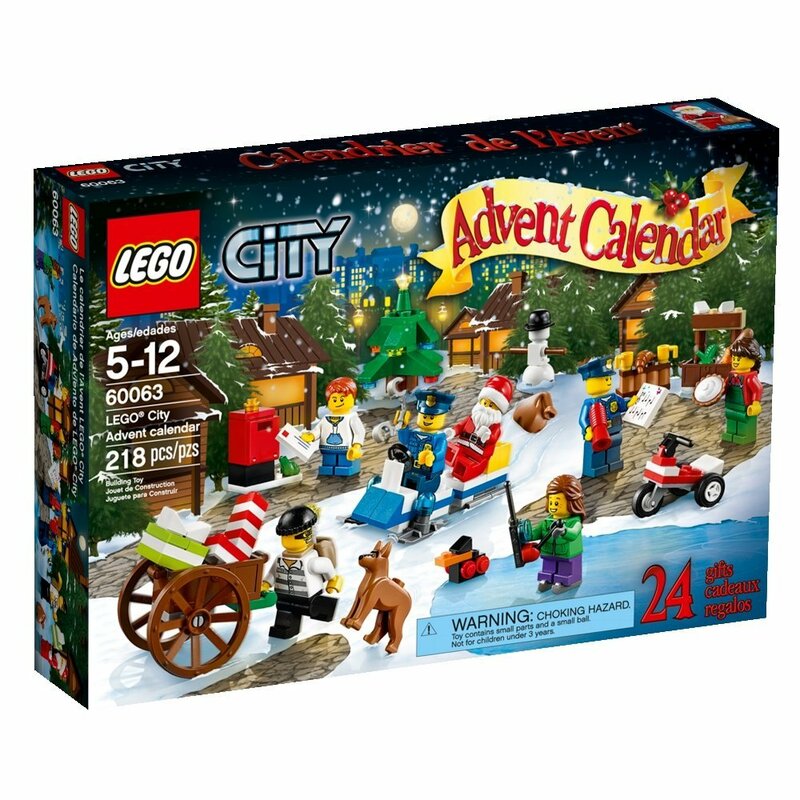 I don’t think they had Lego Advent Calendars when my children were small, but I think they are a great idea, particularly coming from a grandparent, like me. 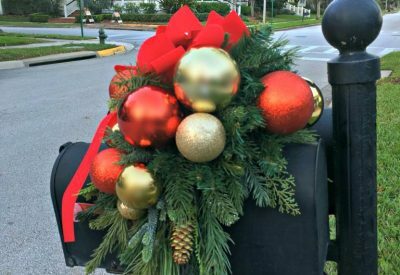 Using red gift boxes designed like Chinese food carryout containers could be creatively decorated to use as your Advent Calendar and they add extra holiday decor to your home. Tuck a little gift or treat inside each one, or how about a little ornament in each one to add to the Christmas tree? These cone-trees made from construction paper could be made as a family craft project. 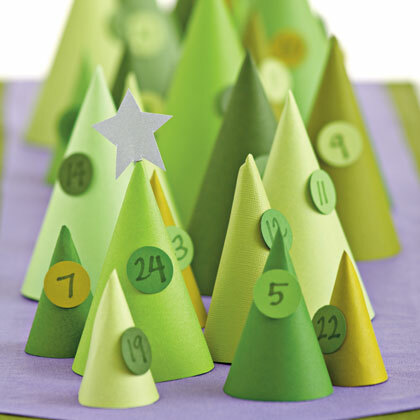 Make your cones and cut out circles and number each one to countdown the days. Hide a surprise under each one! 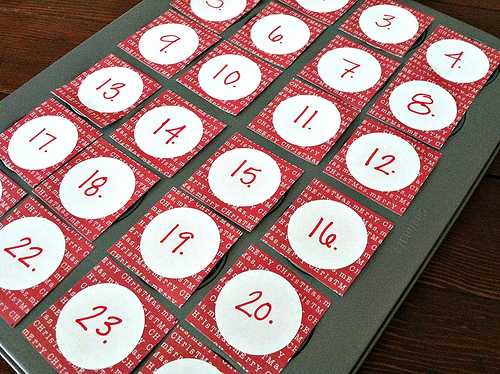 This simple idea for an Advent calendar can be put together in just a short amount of time. Tuck a home-made certificate in each envelope to create special holiday memories. Some suggestions are: “take a drive to look at Christmas lights”, “play a favorite board game together”, “read The Night Before Christmas” or “make hot chocolate and watch a special Christmas movie”. Have fun creating your own special ideas! I don’t know about you, but I love Melissa and Doug toys for my granddaughters. 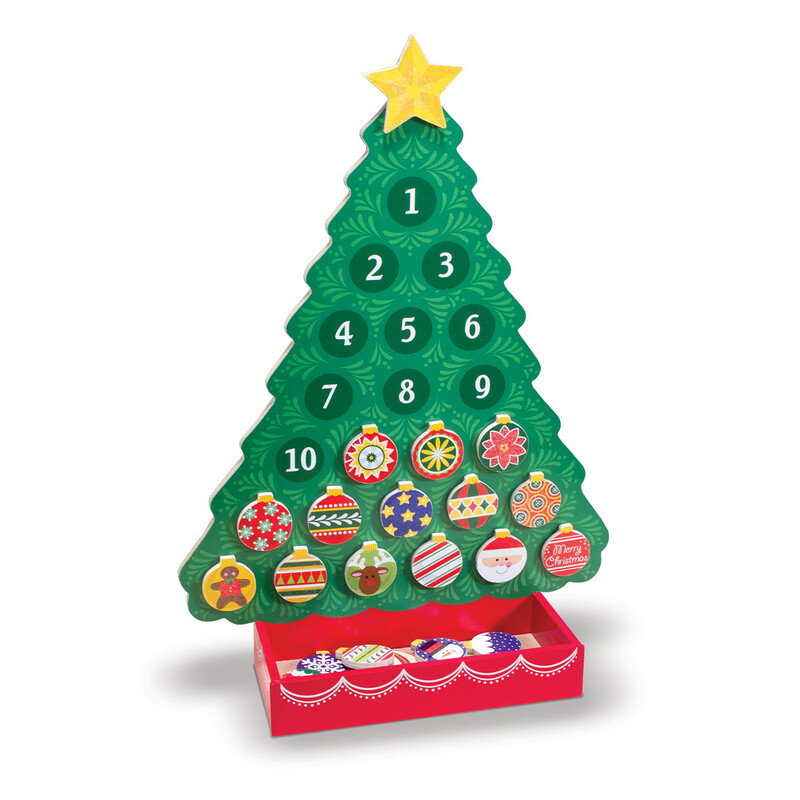 I found this cute Melissa and Doug Advent Calendar with magnetic ornaments to add to the tree, one each day. I know that next year my little Zoe would be old enough to enjoy this. 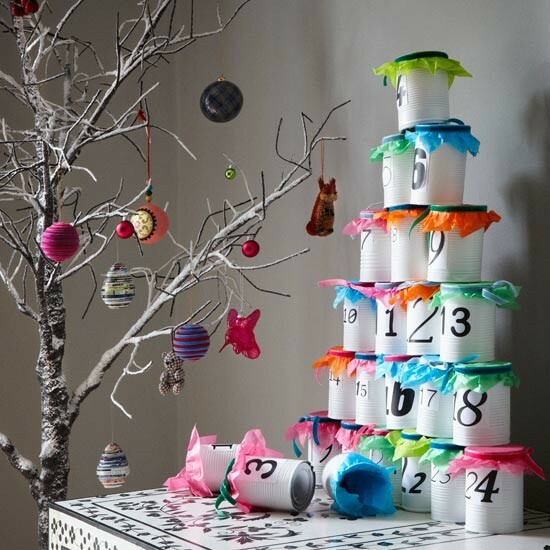 You can’t create an Advent calendar much simpler than this one! Use a mini-muffin pan and create covers with numbers over each of the 24 spots for Christmas fun. Click on the Simple Organized Living link for all of the how-to’s by Andrea. I have a basket in my downstairs kitchen filled with tin cans. Bingo!!!! I love all the advent calendar ideas. I so wanted to make an advent calendar this year, but couldn’t decide what I wanted. I know its late now, but I’ll keep these in mind for next year. Also wanted to stop by and say thank you for joining in the Jan Hobnob and also that I am your newest follower. Thanks Priyam! I am following you, too!